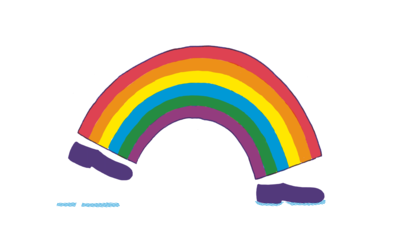 To launch Jungfeldt we made an illustration of our first step with an optimistic approach. 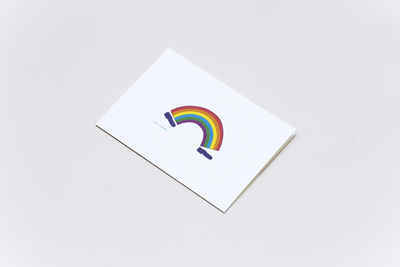 We printed it on postcards and silkscreened it on a limited number of tote-bags for customers and friends. 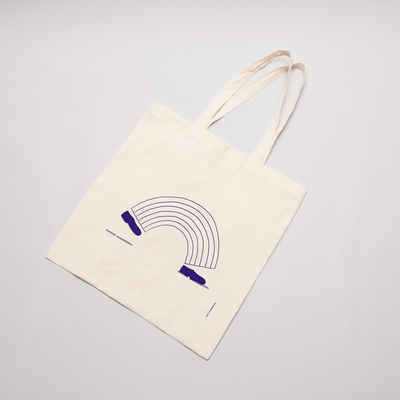 Tote bag with one colour version of the "First Step" illustration. Printed on both sides of the bag; one side in the colour Cobalt the other Ocher. Post card with the full colour version sent or handed out as promotional material and used for general contact. 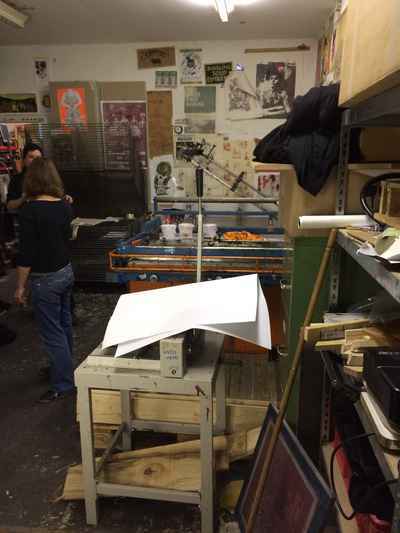 We did the silkscreening in a punk workshop/bar in Friedrichshain under the supervision of a local specialist. Others in the workshop were not particularly fond of our motif and even referred to it as gay; this was even repeated by an old punk lady at a Syrian Food event in "Kreuz-Kölln" to which we reply - yes it is a very gay/carefree* motif! We printed the bag in a punk-silkscreen workshop in one of the few remaining squats in Friedrichshain, Berlin.